The success of an organisation is normally defined by growth. And a constant and sustainable growth would require focused leaders and a workforce that understands their collective aims and priorities. Yet, ensuring the alignment between the leaders and their workers toward mutual goals is a challenging task without a suitable goal-setting and progress-tracking method. This is where OKRs come in. OKRs stands for Objectives and Key Results and was initially invented in the 1970s by the leaders of Intel and Oracle by combining traditional management and goal-setting approaches such as MBOs (Management by Objectives) and SMART Objectives. OKRs gained its popularity after it was introduced to Google by investor John Doerr and is used at Google until today. Read more: What Is Performance Management? Objectives and Key Results is a management framework used to set out an organisation’s objectives and describe the key results that are used to measure the progress towards those objectives. In other words, OKR is a collaborative and agile approach that support setting corporate goals, creating focus, alignment, accountability and acceleration. OKRs make the goals of the company transparent and approachable to employees throughout the organisation and ensures alignment between different functions. A typical OKRs framework comprises a few Objectives, which is the top goals of the organisation and some Key Results to measure progress towards the specified Objectives. Either applied at the company level, team level or individual level, the OKRs is still made public organisational-wide so that all internal operations are transparent to every individual in the company. Objectives are the broad descriptions of the desired goals for the entire company. It sets out clear directions so that each and every employee in the organisation can follow and thrive for success. Objectives can be seen as the ultimate destination after a period of time. They should be achievable, clear, ambitious and inspirational. Moreover, it can be easily mistaken that OKRs are an evaluation tool while they mostly serve as a base for the development of new objectives. Key results are the metrics that determine the objectives and the journey to achieve these goals. Key results can be seen as milestones towards the objectives. This means these key results must be formulated concretely and be measurable for management so that the accomplishment of the objectives can be measured and evaluated afterwards. 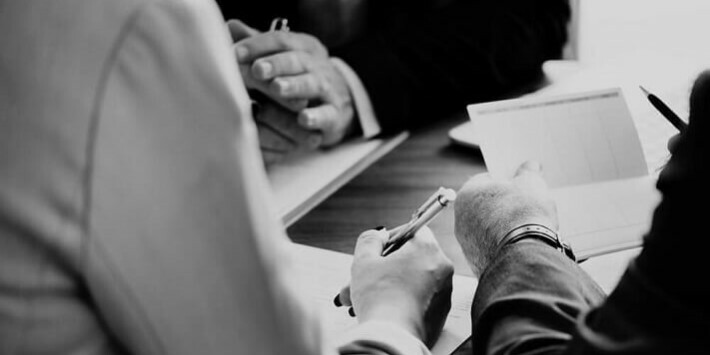 ORKs is crucial in maintaining a clear understanding of the company’s objectives internally and guiding the employees to work towards these objectives. Based on OKRs, managers and employees are able to align their work and their goals with the corporate vision. From the employee’s view, transparency is a necessity for effective alignment, therefore, having clear workflows and operations will effectively connect teams and individuals together. As explained above, the key results should be measurable and able to support the evaluation of the final outcomes when compared with the specified objectives. Moreover, the OKRs when combining with Key performance indicators (KPIs) will increase the monitor capability of the management and help the staff keep track of their progress more advantageously. Since OKRs are made approachable for everyone in the organisation, the accountability and transparency of the initiatives are promoted, thus, the responsibility of each individual is significantly increased. For example, at Google, OKRs are graded quarterly and applied with the scale from 0 to 1. However, employees do not have to hit the perfect scores all the time. Google believes that having a score between 0.6 and 0.7 means that you are making good progress. As a matter of fact, if you achieve the OKRs target easily, it could mean that you have set your goals too low. The evaluation process after each quarter is a good occasion for the employees to take account for the performance and analyse their improvement. By defining clear goals, every member of the organisation can focus on and work for one ultimate goal. OKRs keep everyone away from distraction and boost collaboration since every team member is well-informed and understands their priorities. There are more to OKRs to be explained. To learn how to get started with OKRs best practices, click here!